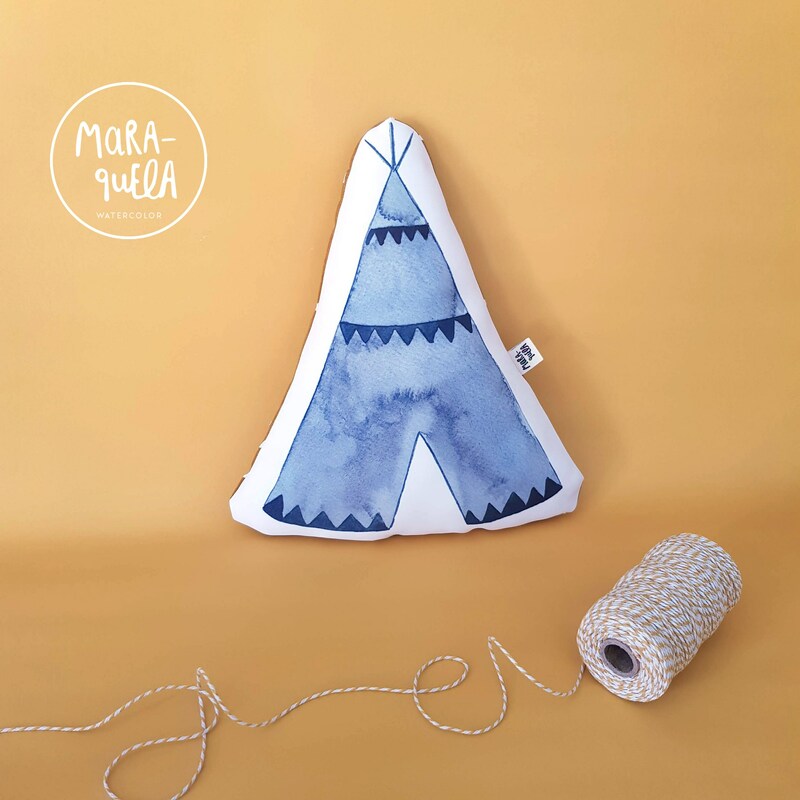 • Cojín TIPI infantil de la ilustración original en acuarela, en preciosas tonalidades azul grisáceo. 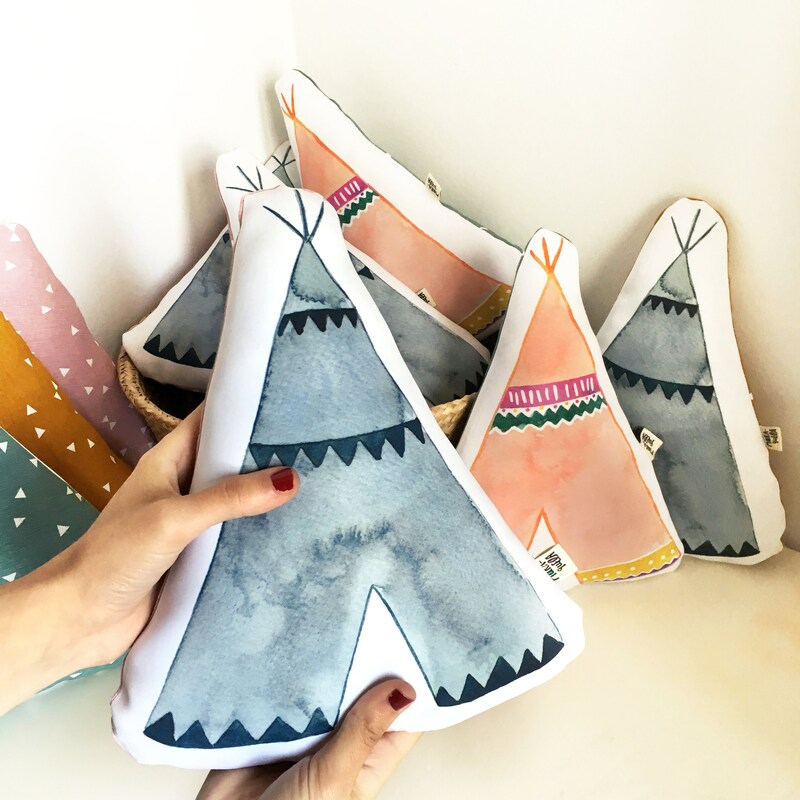 • TEPEE cushion from the watercolor tepee illustration. 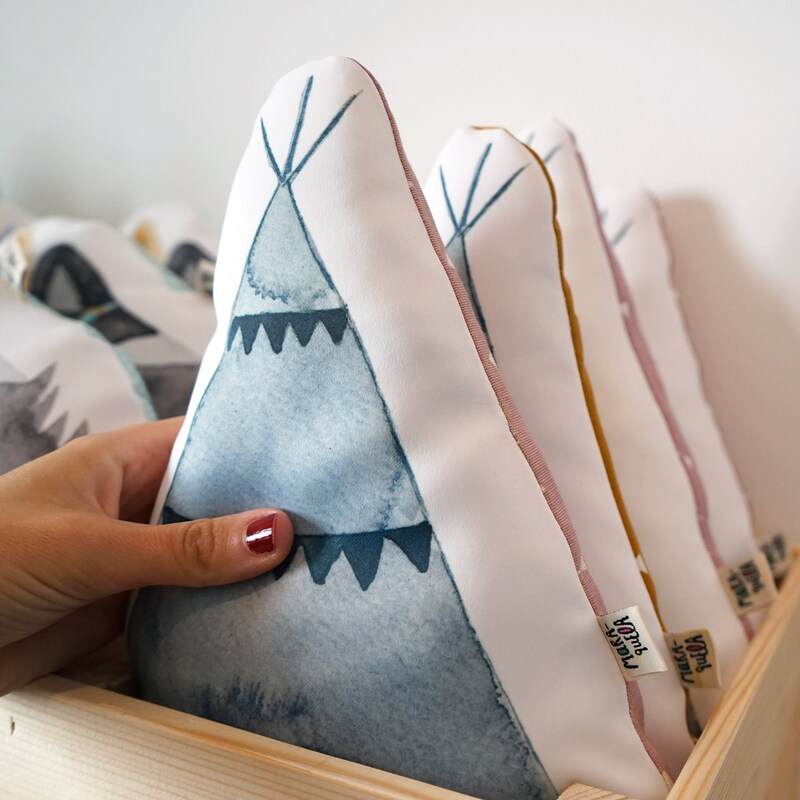 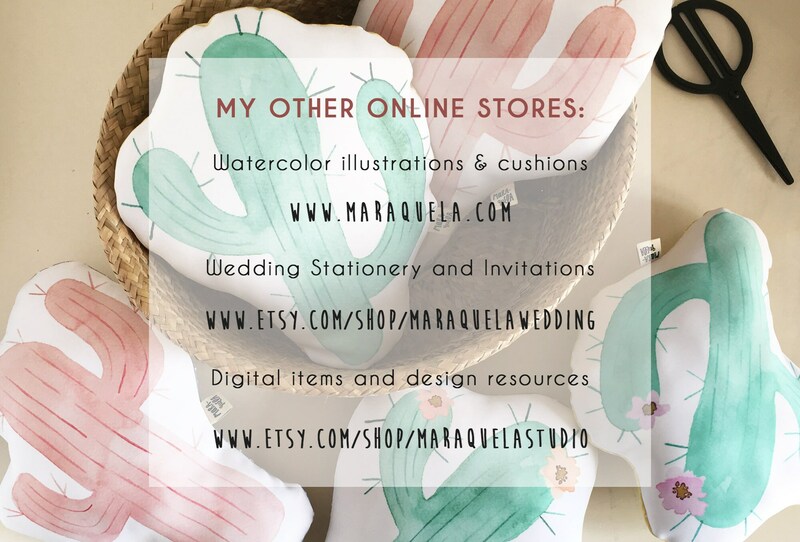 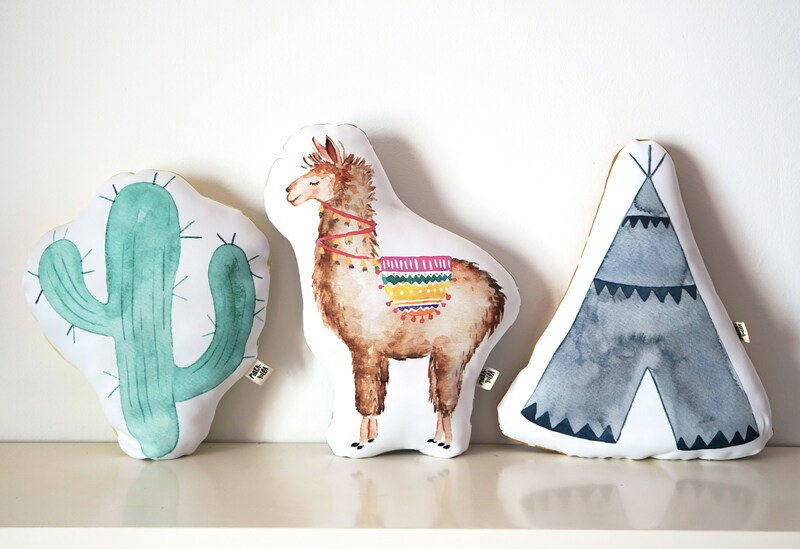 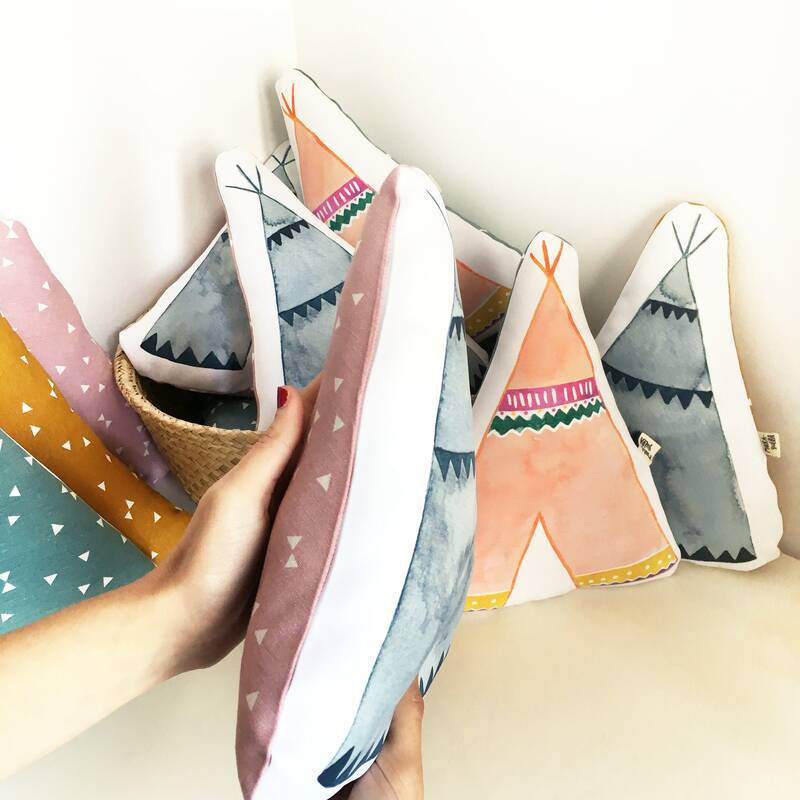 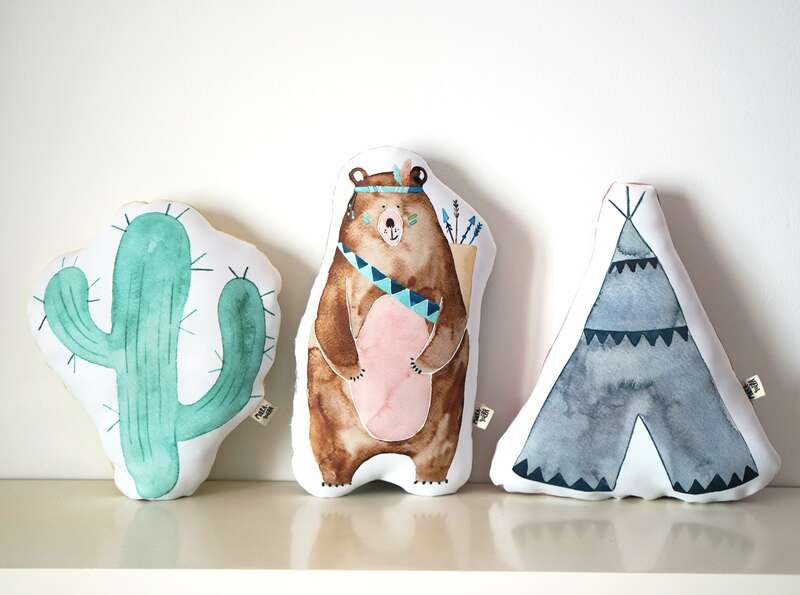 • The Tepee pillow is composed of an illustrated front side (teepee) and patterned cotton fabric on the back. 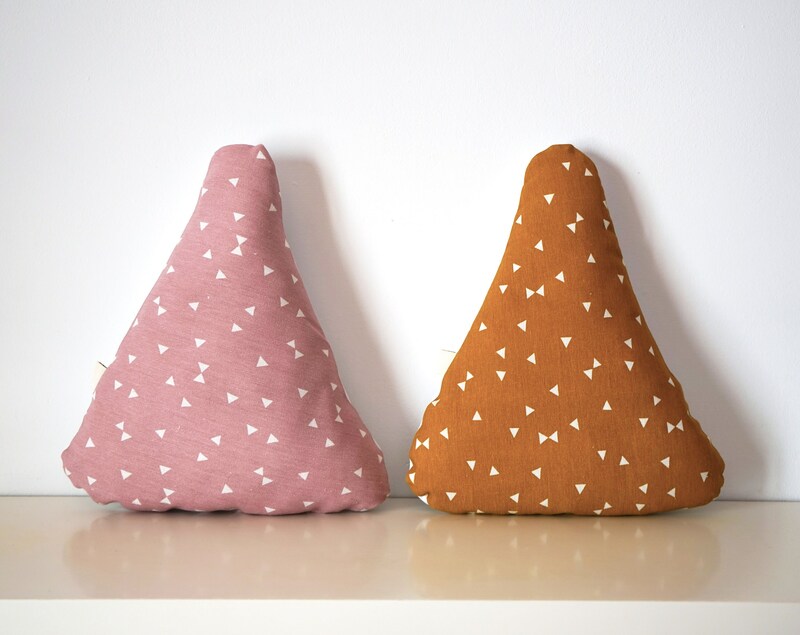 • The color of the back is available in TWO colors: mustard yellow and pink. 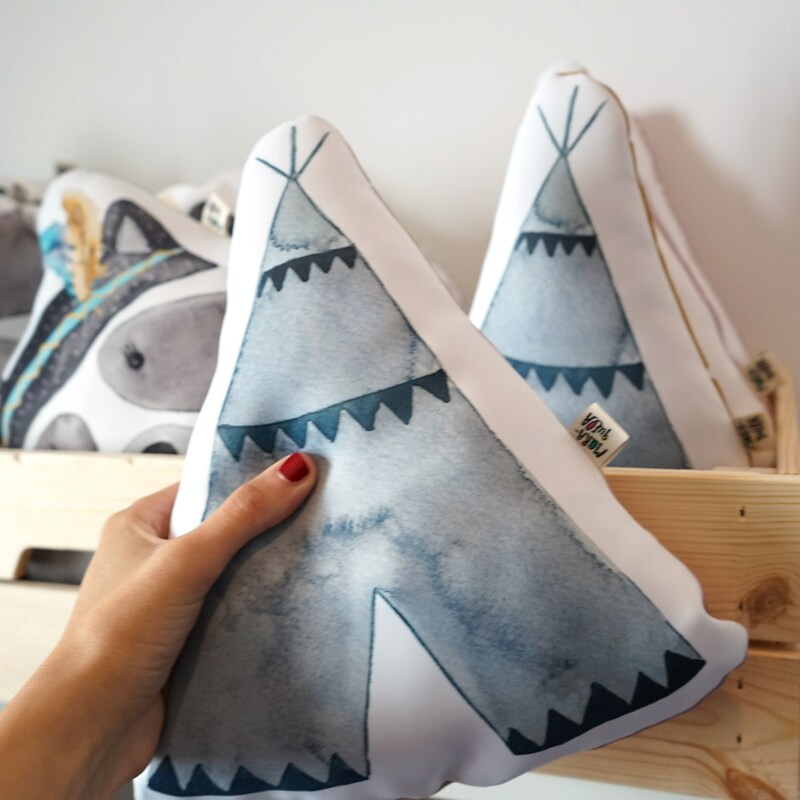 • Beautiful nursery pillow in blue colors, for the decoration of newborns, baby and kids.